Learn about all of the courses we offer. Get started with RSA Online or Food Handlers. Our White Card and First Aid units allow you to Get your Certificates sooner. Take control of your career by learning a full qualification such as Aged Care Certificate III or IV, Disability Certificate III or IV or Front Line Management Certificate IV. You can start and stop your progress with our online training tools and take a break when you need to. Track your progress as you learn. Each unit is separated into bite-sized chunks. When you start a course, you'll have access to the support you need as you work through the course. Eclipse Education's scope contains many nationally recognised units! We use a mixture of video, audio and graphical interfaces for all our units. Follow practical videos to help you learn and complete your assessments. 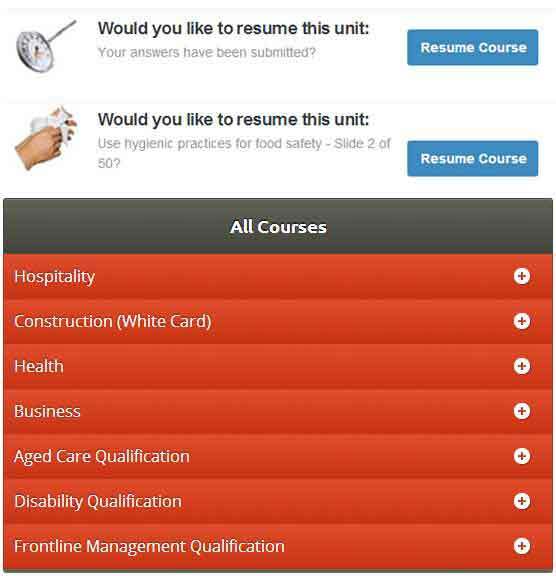 Our courses are updated frequently when new material is released by the governing bodies. This means you don't need to worry if your training contains the latest unit and course codes. Welcome back! Would you like to resume your course? Keep track of your progress Simply log back in to resume your course. 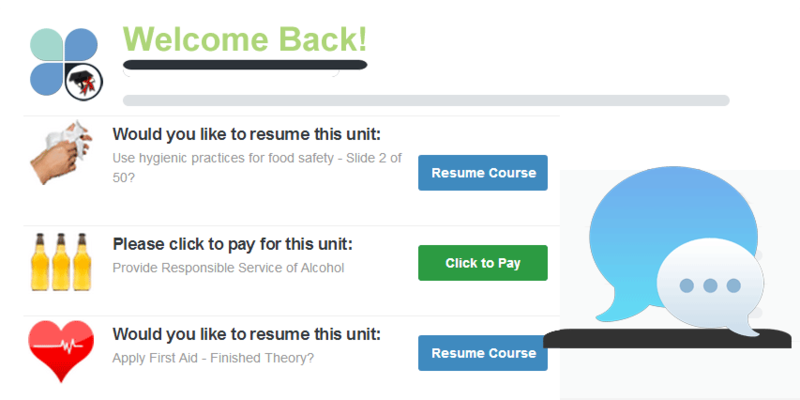 When you log in your welcome page will show your progress of all the units you've completed or are still progressing through. Log in to jump back into a course you already started. Eclipse Education's courses are designed to help you successfully complete your training. You can pay when you pass with most of our short courses. Don't pay until you pass: nothing to lose! It's simple to start or resume a course from anywhere. You can access Eclipse Education's courses from the web and from mobile. We understand that everyone is busy these days. Want to learn on the go? The Eclipse Education website works on every major device. Eclipse Education has a team of Trainers & Assessors and a full Support Team ready to answer your questions. 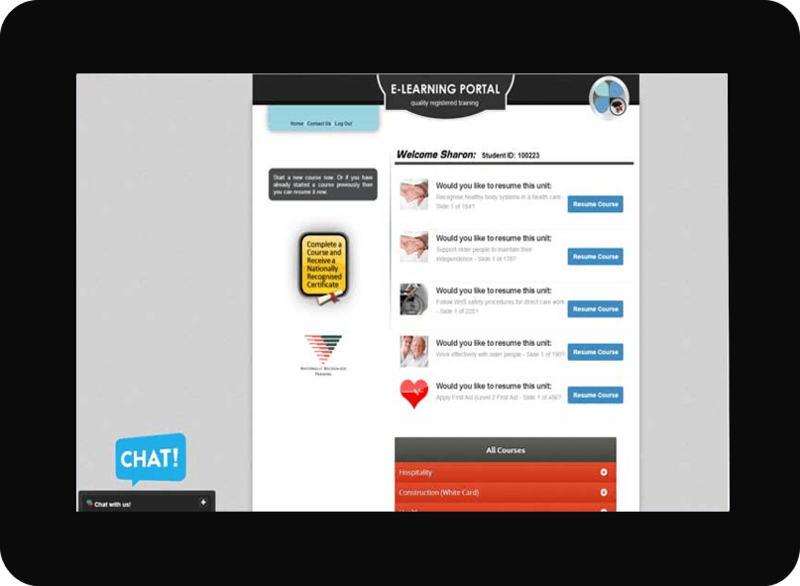 Students can ask questions via the Phone, email, instant chat or in person. 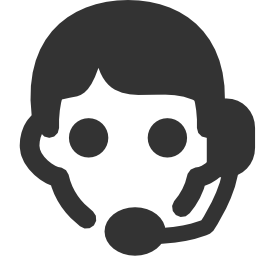 Teaching staff are active on the website during business hours, so there's help available if you get stuck. As you learn on Eclipse Education, you will have acess to support via an Instant Chat screen. This means help is only a click away. Eclipse Online Education specialises in providing premium-quality Nationally Recognised training at an affordable price. Most of our qualifications can be covered by Government Funding. Please ask about these amazing opportunities. To get a job in todays competitive market you need the right skills and certifications. 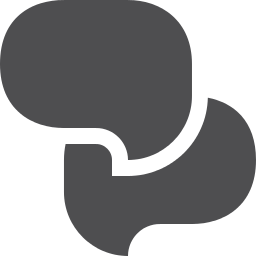 Taking an online course with Eclipse Education will give you the training you need. Eclipse Education's short courses and full qualifications prepare you for the job market. Get the certificate necessary to get that new job today! Get your RSA, White Card, First Aid with Eclipse Education today.